In today's day and age Fax machines are next to dead, and no one uses them anymore. Everyone prefers digital (FolP = Fax over IP), 'fax to email' and 'email to fax' services. This is because they are easy to use, to set up and is the face of the revolution. However, a majority still prefers fax facilities. Who enjoy the joy of receiving their faxes automatically via printers, just like in the old times. With the help of Automatic Email Manager, you are provided the best solution, one that can help you receive digital fax on more than one printer in real time. You can even add more actions, which allow you to back up your fax on a disk for archiving and give it automatic date stamps. Automatic Email Manager is a Windows software that can run on your PC background, Server and/or Tablet. 3. Finally, it runs in the background while your faxes are arriving directly to the printer. 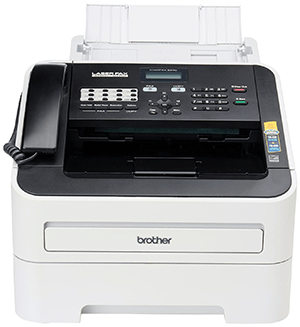 Which digital fax supplier is the best? Although we selected the bests email-to-fax / fax-to-email suppliers since they all have their own labeling (prices, fax number, country selection, etc.) we don't recommend a specific one. Choose one that suits your convenience. We have however researched and reviewed some major services of different countries. You can click the following link to read more about the suppliers. This link leads to an excellent comparison from PcMag here ». Easy Online Faxing. Send faxes without the fax machine. Manage your incoming and outgoing faxes online and benefit from considerable savings. Happy Faxing. Seamlessly turn your iPhone, iPad or email inbox into a fax machine. eFax is the world’s #1 online fax service, and have been for nearly 20 years. InterFAX has been offering computer-based faxing services since 1996. Retarus Fax2Mail is the smart solution for receiving faxes digitally.